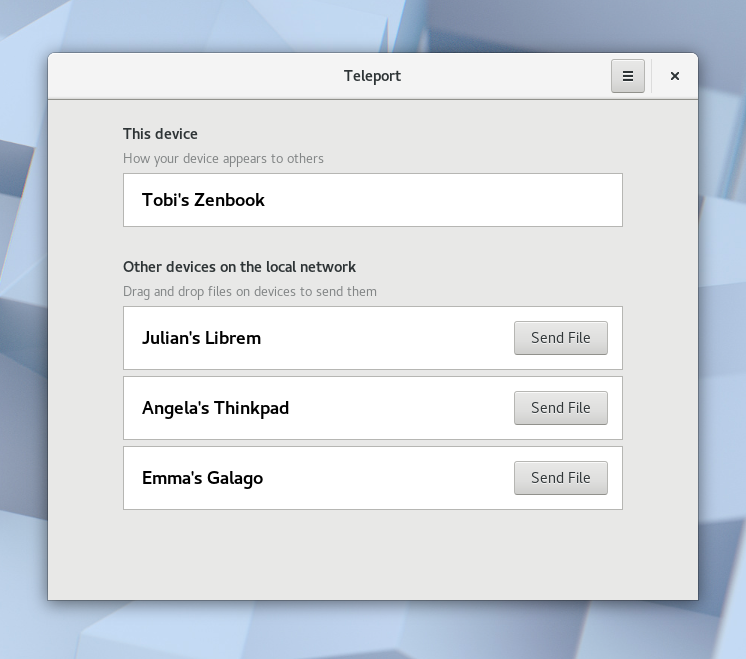 Teleport is a native GTK3 app to effortlessly share files on the local network. Have you ever asked yourself why the easiest way to move a file between two computers in the same room involves sending it to a server in another country? > Why is the easiest way to move a file between two computers in the same room sending it to a server in another country and retrieving it from there? Teleport is currently in early development, but you can try it by installing it via [flatpak](http://flatpak.org). If you're running a modern GNU/Linux distro you should already have flatpak, or be able to install it from your repositories.